Need things while we are away? Port Townsend Watercraft is closed June through mid July this year as we will be sailing the boat back from Ketchikan after the Race to Alaska, discovering places new to us along the way. Getting to take a cruise of some kind every year is a big reason why we run our own business and it supports our ability to maintain our high standards of quality. It refreshes our minds and spirits so we can devote ourselves to producing these custom kits, writing books, and develop new ideas. If you have just discovered our site or have been following our designs for some time, it is good to let us know sooner rather than later that you have decided to build one of our kits. We have a convenient Quick Deposit button on our website that puts you in a ‘first come, first serve,’ position. Upon our return, we will contact you and begin the process of preparing kits on order. While we are away, some of our products can still be purchased with timely delivery. See the links below image. E-books (PDF downloads) immediate delivery of download link to your email. 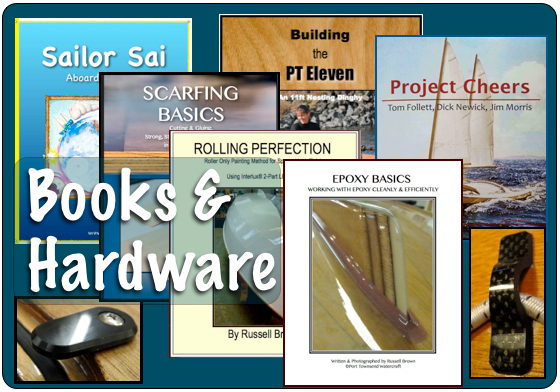 Plus other book links. Builder manuals-use the Buy Now option. There may be some delay via third party shipper. The PT 11 out in the bay with an RC sailboat and a classic motor yacht. 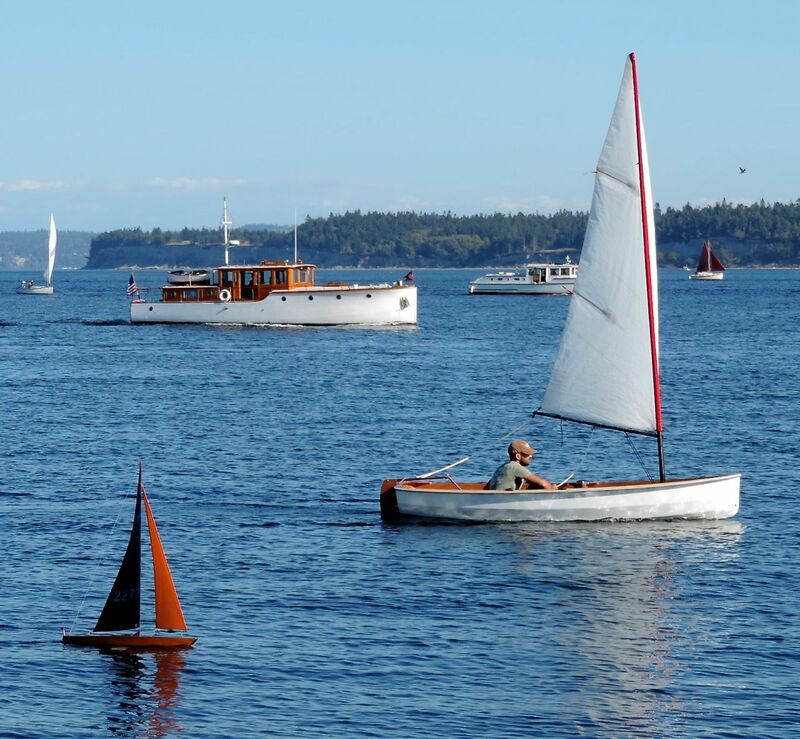 The 41st Port Townsend Wooden Boat Festival is happening September 8-10. 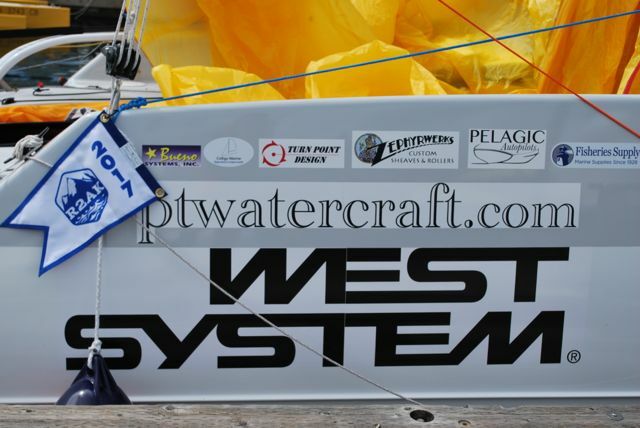 We are so happy to announce that we will be there again, sharing a tent with WEST SYSTEM Epoxy. Our booth with WEST SYSTEM EPOXY and 3 PT 11's on display! 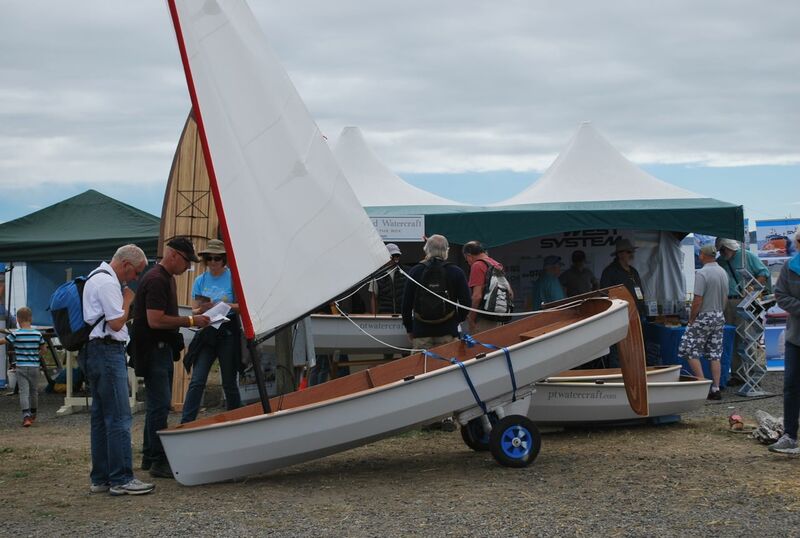 I am told that there will be several PT 11's, Spears and Skiffs at the festival. We also hope that anyone in the area with a PT 11 or PT Spear, will come over for the "under 26ft" Regatta in the afternoon on Friday. Wouldn't it be fun to have a fleet of our dinghies to compete against each other? There is also a rowing race on Saturday morning. They should have a schedule up soon; Tickets go on sale July 1st. We hope some of our PT11 family club will set up one class regattas over the next year and we will help spread the word via our Quarterly Newsletter. 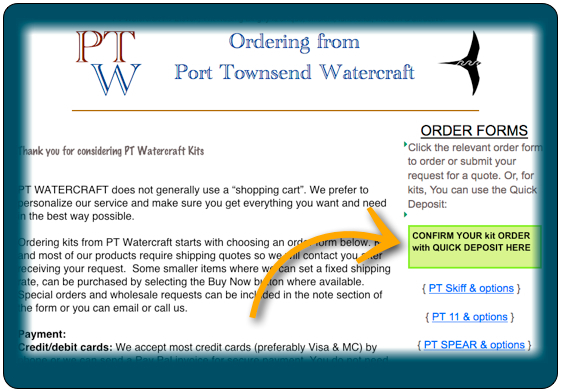 We hope you will enjoy discovering all of the information on our website, Videos on our Youtube channel, and please do not hesitate to send your questions to info@ ptwatercraft.com. (no space) We will respond as soon as we can. We have shadowed leg one of this race for it’s first 2 years and we have mused on what it would be like to participate. Well, now we know and are still as excited by it as ever. Russell always understood what was needed to enter such a race. Ignorant me had no idea, only enthusiasm! He has worked for months without time off to get the boat ready and to meet sponsorship expectations. 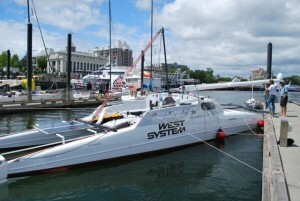 We might never have entered had it not been for the encouragement of WEST SYSTEM Epoxy CEO Alan Gurski and founder Meade Gougeon. They were the first to say 'do it!' and offered to sponsor us with some new North sails. At the time of this writing, Russell is at the north end of Johnstone Straits hunkered down while the wind screams out of the SE. Had either of us been more tech saavy, we could have been updating all along as some of the other boats do but the SPOT tracker will have to suffice. 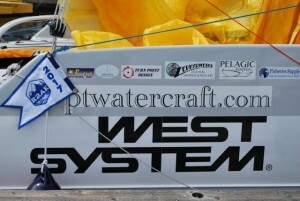 Gougeon Brothers designed and built our boat, Incognito, and we hope to make them proud. I was able to put together 2 brief videos (click links) of the June 8th, Port Townsend to Victoria start, and a second of the June 11th Victoria onward start. Russell has had a few challenges along the way already. Starting with a rigging crisis that had gone un-noticed until June7th, the day before the start. 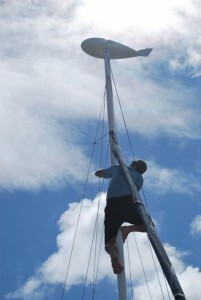 It was in Victoria, after almost 10 times lowering the mast and later shimmy-ing up to check, that the issue was resolved satisfactorily. The first day out of Victoria, he lost his preferred pedal drive prop and prop nut. He had a spare and continued with that. He had a close call with the reef off East Point Saturna, battling current, pedaling "for my life!" as he put it. Being conservative with words by nature, I imagine it was pretty darn scary for him. Mixed chop made life uncomfortable up to Nanaimo and at Seymore Narrows, he chose not to go through at night and to do some precautionary repairs on the pedal drive instead. The boat clearly likes to move as portrayed by the tracker as he would catch up in the day to many of the multi crewed boats that passed him in the night. Moral support from wonderful friends.